This week marks the 50th anniversary of Martin Luther King, Jr.’s assassination. In OtherWords, my colleague Jessicah Pierre explains that the late civil rights leader’s legacy is both broader and deeper than many of us realize. Without deep changes, King predicted, we were headed not only for racial apartheid, but economic apartheid, too. He was right, Jessicah says, calling for a new movement to revive King’s calls for economic equality. Another ill King warned of was militarism. Given his courageous opposition to the Vietnam War, one can only imagine what he’d say about U.S. support for the outrageous Saudi-led war in Yemen. Olivia Alperstein says it’s time we all demanded more awareness and action to bring that to an end. Also this week, my colleague Domenica Ghanem says that if the president wants to execute drug dealers, he should start with the drug industry. Jill Richardson debunks a popular anti-gun control argument. And Jim Hightower reports on some of the brazen new ways employers are trying to steal from workers. 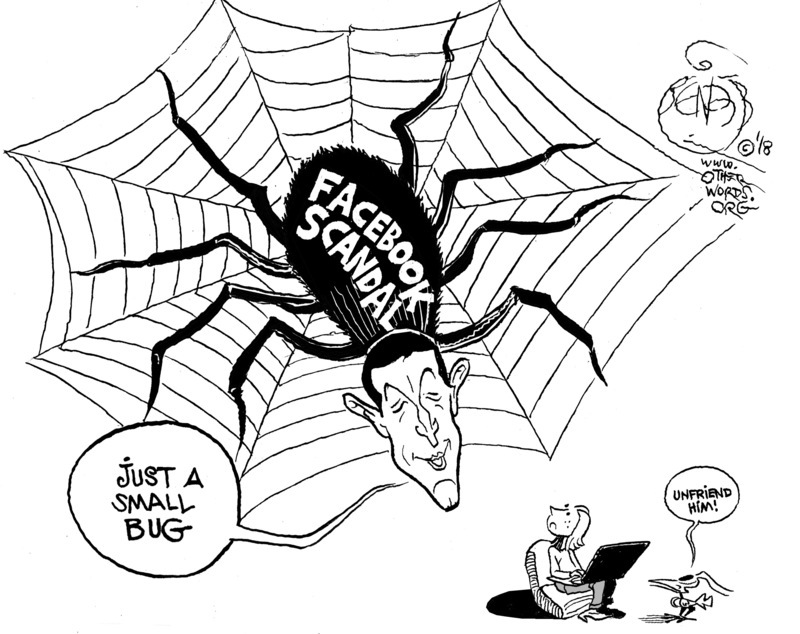 Finally, Khalil Bendib has a funny look at the “small bug” Facebook is battling. Because criminals don’t follow the law, we shouldn’t have any laws at all? That’s nonsense. The post In OtherWords: April 4, 2018 appeared first on OtherWords.